Description: Fits any home sausage stuffer or meat grinder. Uses the power of your own stuffer or grinder. 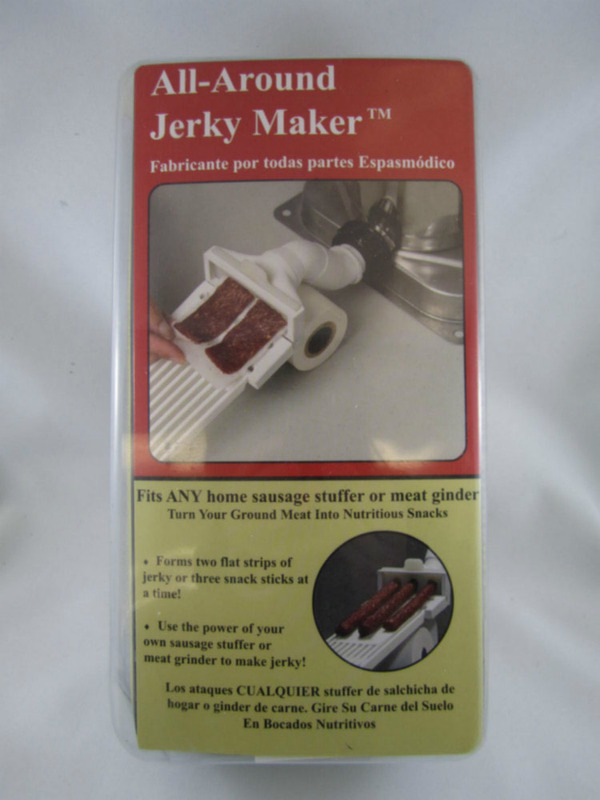 Makes two flat strips for jerky or three snack sticks for pepperoni sticks, no casing needed. Made from food-grade ASB Plastic. Complete with 8 specially designed adapter disks, one of which will transform your sausage stuffer or meat grinder into an outstanding jerky and snack stick machine. Fits: #5, #8, #10, #12, #22, #32 and #42 Meat Grinders and Upright or Horizontal Stuffer. Includes one roll of waxed paper.